Additional cost due to flight cancellation/ road blocks, Political unrest etc. Upon arrival in Delhi, board the vehicle that will take you to the charming hill station of Nainital. Located at an altitude of more than 2000 m above sea level, this scenic town is one of the most popular tourist destinations in the Lower Himalayas. This place has a significant association with Hindu mythology. It is believed that the site of the serene Naini Lake is the spot where Goddess Sati’s eyes fell while her charred body was carried by Lord Shiva. This lake is considered as one of the 64 Shakti Peeths, and as a result, a temple has been constructed in the vicinity of the lake, dedicated to Goddess Sati. On reaching the hotel at Nainital, complete the check-in process and rest for some time. Thereafter, spend the rest of the day at leisure by exploring the natural beauty of this place. Later, come back to the hotel for dinner and overnight stay. Let ready for a half - day sightseeing tour of Nainital. 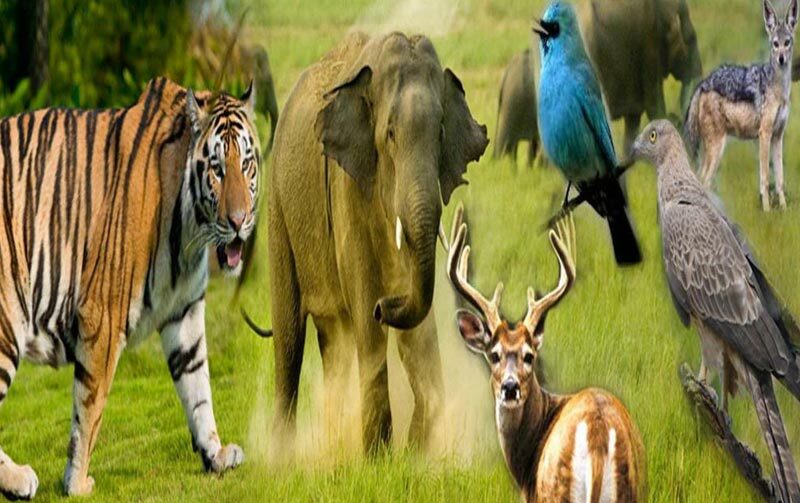 During this tour, you will visit the Nainital Zoo, Naina Devi Temple and Eco Cave Garden. Established in 1986, the Nainital Zoo is home to a number of Himalayan wild species, including Himalayan bear, snow leopard, red junglefowl,leopard cat, golden pheasant, Tibetan wolf and Lady Amherst pheasant. 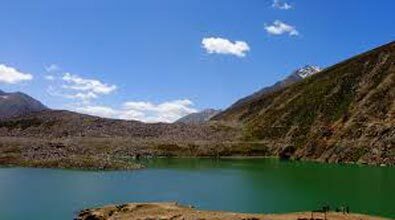 The park lies at an altitude of 2000 m above sea level and is spread over an approximate area of 11 acres. Situated on the shore of the Naini Lake, the Naina Devi Temple is an important pilgrimage spot for the worshippers of Goddess Sati. The temple houses idols of other Hindu deities as well. In its vicinity, there lies a revered church and a buzzing Tibetan market. Eco Cave Garden was established in the town in recent years, and since its inception, it has become a popular tourist spot. The garden has beautiful fountains, a flower garden, a cafe and artificial rocky caves, which are named as Tiger Cave, Monkey Cave, Bat Cave and Flying Fox Cave. These caves have been formed to resemble the natural habitat of the above - mentioned animals. On completion of the half - day tour, proceed to Mallital from where you can hop onto a cable car to enjoy a ride (on direct payment basis) till Snow View Point. The ride will give you an opportunity to behold the scenic vistas of this hill station. After the cable car ride, head to the most popular shopping street in the town - the Mall Road and go on a shopping spree. Here, you can purchase wooden handicrafts, winter clothes, perfumed candles and much more. Later, proceed to Naini Lake to enjoy a boat ride (on direct payment basis). Later, return to the hotel for dinner and overnight stay. Let ready for a half-day sightseeing tour of Nainital. 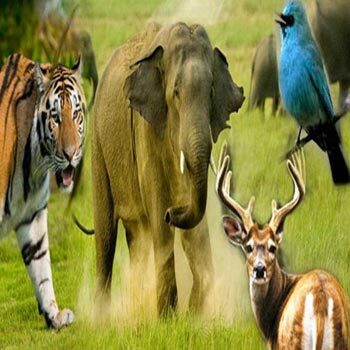 During this tour, you will visit the Nainital Zoo, Naina Devi Temple and Eco Cave Garden. Established in 1986, the Nainital Zoo is home to a number of Himalayan wild species, including Himalayan bear, snow leopard, red junglefowl, leopard cat, golden pheasant, Tibetan wolf and Lady Amherst pheasant. The park lies at an altitude of 2000 m above sea level and is spread over an approximate area of 11 acres. Situated on the shore of the Naini Lake, the Naina Devi Temple is an important pilgrimage spot for the worshippers of Goddess Sati. The temple houses idols of other Hindu deities as well. In its vicinity, there lies a revered church and a buzzing Tibetan market. Eco Cave Garden was established in the town in recent years, and since its inception, it has become a popular tourist spot. The garden has beautiful fountains, a flower garden, a cafe and artificial rocky caves, which are named as Tiger Cave, Monkey Cave, Bat Cave and Flying Fox Cave. These caves have been formed to resemble the natural habitat of the above-mentioned animals. On completion of the half-day tour, proceed to Mallital from where you can hop onto a cable car to enjoy a ride (on direct payment basis) till Snow View Point. The ride will give you an opportunity to behold the scenic vistas of this hill station. After the cable car ride, head to the most popular shopping street in the town – the Mall Road and go on a shopping spree. Here, you can purchase wooden handicrafts, winter clothes, perfumed candles and much more. Later, proceed to Naini Lake to enjoy a boat ride (on direct payment basis). Later, return to the hotel for dinner and overnight stay. Check-out from the hotel and drive to Corbett, the oldest national park in the country. Established in 1936, this national park has been named after Jim Corbett, the famous author, conservationist and hunter. This ecotourism destination has abundance of flora and fauna that can be witnessed during the safari tour. Featuring grasslands, hills, marshy depressions, river belts and a lake, this wildlife reserve is spread over an area of approximately 520 sq km. There are more than 488 plant species and 586 bird species, including the migratory ones in the park. Sambar deer, leopards, Himalayan black bears, fishing cat and Indian python are some of the many wild species in this wonderful national park, located in the district of Nainital. Upon arrival, check-in at the designated resort and rest for a while. Thereafter, enjoy the rest of the day at leisure, by indulging in various games and activities on offer at the resort. After dinner, stay overnight at the resort. Early morning, go on an exciting Jeep safari (on direct payment basis) which needs to booked in advance) into the national park to witness varied wildlife species in their natural habitat. If you are lucky, you might just spot some Royal Bengal tigers during the safari. In the afternoon, come back to the resort and spend the rest of the day in leisure activities. Enjoy dinner and overnight stay at the resort. Check-out from the resort and drive towards Delhi. On reaching Delhi, transfer to the railway station or airport to catch your return train or flight.